For 100,000 years, inhabitants of Botswana's Tsodilo Hills region left behind a record of their gathering wild foods, hunting, fishing, mining, rock painting, cattle herding, and metalworking, as well as of their participation in a coast-to-coast trade network. During the past 30 years, archaeologists, paleontologists, historians, and anthropologists have worked at Tsodilo. 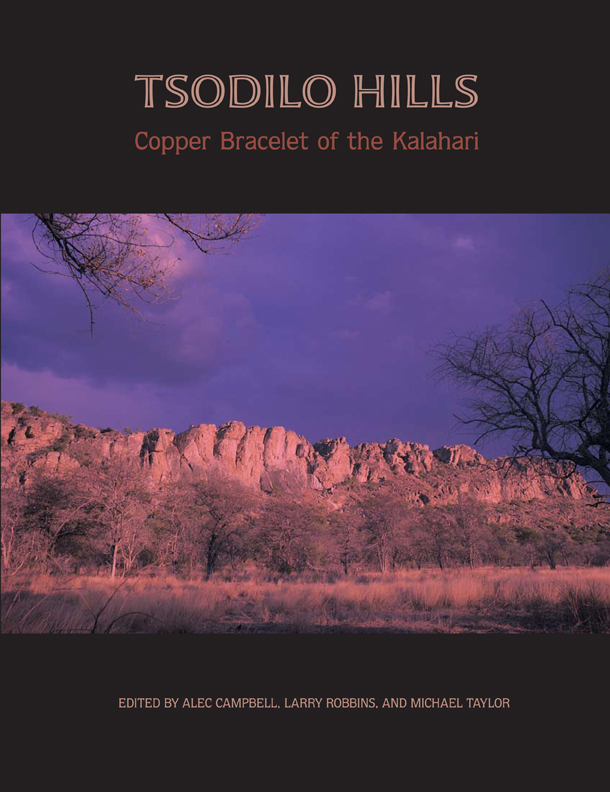 Here is the Tsodilo story, the Hills' revelations brought together in one volume, beautifully illuminated by more than 150 color plates and maps. For scientists, this work brings together decades of research at a site in the Kalahari that was virtually unknown until the late 1970s. Tsodilo Hills also offers a fascinating glimpse into the history of the Kalahari Desert to the general reader, as well as an unsurpassedguide to an extraordinary world to the desert's many tourists. Alec Campbell is Emeritus Director of the Department of Wildlife and National Parks and National Monuments, Botswana. Larry Robbins is Emeritus Professor of Anthropology at Michigan State University and a founding member of the Society for Africanist Anthropologists. Michael Taylor works with the International Land Coalition in Rome, Italy, as an advocate for land rights in Africa and globally.